Even though we are sisters, we have a very different approach to food and photography. 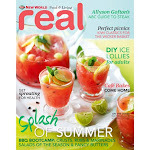 Each fortnight we are going to choose the same ingredient or theme and post the result. These are results of our third food fight. 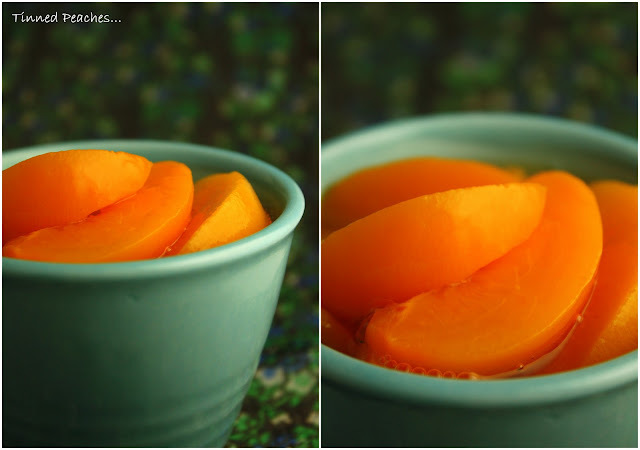 Peaches, they evoke memories of summer whether it be tinned with ice cream or fresh from the tree. Unfortunately today the luxury of picking peaches off your next door neighbours tree or even better yours, seems to be dying out. Never the less they are a romantic and nostalgic fruit that have so many uses both sweet and savoury. A peach pit contains hydrocyanic acid, which is a poisonous substance. 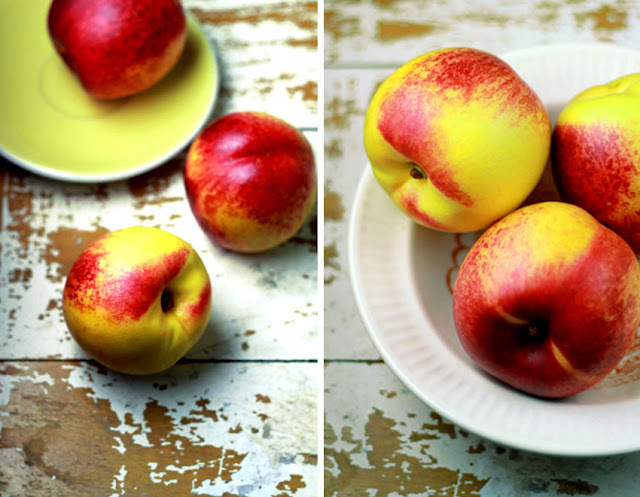 Nectarines are a variety of peach with a smooth skin. The juice from peaches makes a wonderful moisturiser. 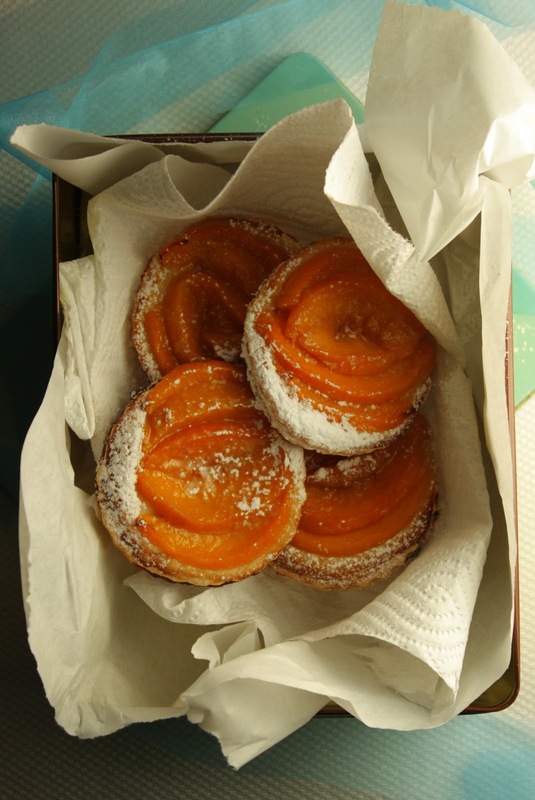 It was partly disorganisation and also not knowing that nectarines were actually peaches that encouraged me to use tinned peaches. Previously I thought tinned peaches were a bit naff and common and really the only use was in a smoothy or on ice cream, which incidentally I can't stand. Cut into shapes - I used a pastry cutter but you could do squares easy enough without. Place the peaches on top in an attractive design - I sliced them in half to make thinner slices. Put on baking paper and sprinkle with sugar - brown or white. Bake at 180 degrees for about 15 mins - keep checking as the sugar and syrup do burn. When cooked take off the baking paper as soon as you can. Lovely with a coffee and a bunch of friends or something to put a smile on the kids faces. Thanks to a little breeze and the neighbours tree, dessert was homegrown. The in-laws arrived a month ago and the first thing they like to do when coming from a chilly British winter, is get stuck in to all the juicy summer fruits on offer in New Zealand. I had planted seedless watermelon and rockmelon to coincide with their visit in the hope that I could show off my green fingers but I had no luck and they are still creeping their vines along my patch quite happily. Anyone know if they will still grow through winter? So when I saw my neighbours nectarine tree, edging over the fence, I thought, with a little breeze we might be ok here. I only needed a few, one nectarine to feed two. So with a little help from the British, I was on my way to making a tasty dessert straight from 'my' garden. Set oven temp to 180C. remove stones and place cut nectarines on baking paper in an oven proof dish/ pan facing up. Drizzle honey, vanilla, and sprinkle brown sugar on top. Bake at 180C for 15mins, scoop up the juices and coat nectarines and bake for a further 15mins or until golden and sticky. Serve with yoghurt, drizzled with honey. 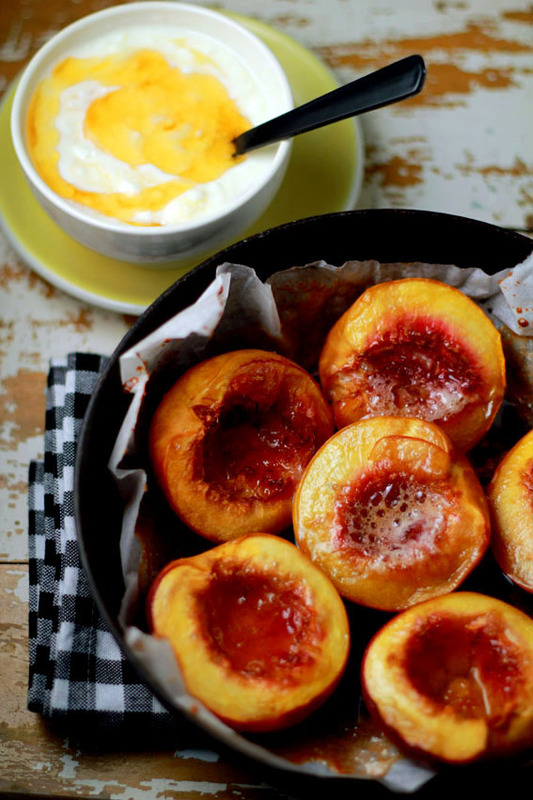 Those honey-baked nectarines look delicious! Made a few modifications by adding walnuts and cutting out the sugar but was delicious! THANKS!! !